Brisbane is warm for much of the year and as such it is a great place if you want to go swimming for fun or exercise. However us Brisbanites tend to give up the pool at the first sign of cold weather (I personally don't go swimming in the morning if the night time temperature drops below 16 degrees). Luckily there are several options for winter aquatic activities in Brisbane with a number of heated pools dotted around the city and surrounds. With Brisbanites having such a strong summer mindset, people even stop swimming in the heated pools, which means more lane space for you. Note: Temperatures in various pools range between 26 and 32 degrees. The warmer temperatures are usually found in the indoor program pools, which are great if you are recovering from exercise or an injury, but I think this is too warm for lap swimming. If you jump into a pool heated to only 26 or 28 degrees, you will feel a little cold when you jump in, but your body temperature will rapidly adjust and you will come out after 30 minutes or an hour feeling very comfortable. Most winter days in Brisbane are not that cold, so swimming in a heated outdoor pool is only a problem when it comes to getting in or out of the pool. It certainly makes those tear away track pants a worthwhile investment. Here are some of the best heated outdoor swimming pools in Brisbane. Some also feature smaller indoor heated lap and program pools. 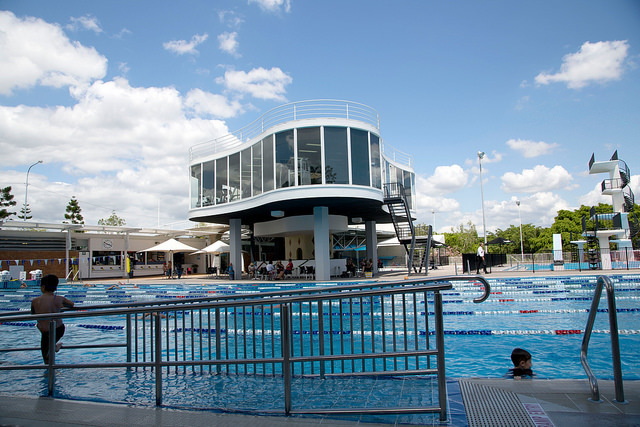 This heated outdoor 50m pool in Fortitude Valley is one of the most popular pools in Brisbane for swimming laps. This is one of the few pools that stays busy even during winter. A definite must for people who swim for the exercise. It also stays open on weekday evenings to 8pm, which is a plus for people who don't like getting up early to swim. Another pool that stays open in the evenings. This heated outdoor pool is the most stylish in Brisbane and attracts the a stylish crowd. But you don't have to be too trendy to enjoy the heated outdoor 50 m pool. University of Queensland has great sporting facilities and their 50m heated outdoor pool is popular with both students and people who live in the St Lucia area. 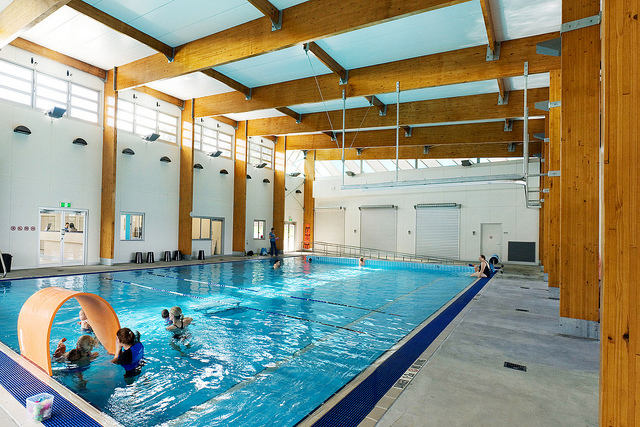 The Runcorn Aquatic Centre features a 25m heated outdoor pool and a 20m indoor program pool. Don't forget the great cafe onsite for parents who are happy to send their kids off to learn to swim while they wait. 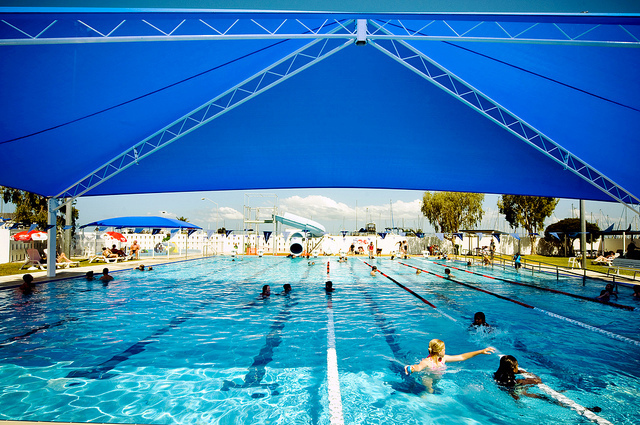 With a heated outdoor 50m pool and a 25m indoor pool, this is one of the best options in Brisbane in winter. However with a 6:30 pm closing time for the outdoor pool and a 3:00 pm closing for the indoor pool, it is not always compatible with working hours. It also only has limited opening hours on the weekend. This pool is shaded in summer and heated in winter. 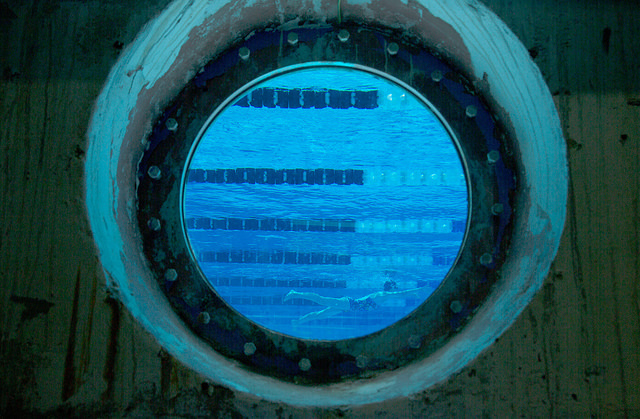 It also has a 10m programs pool. This 25m salt water pool is heated to 27 degrees throughout the year while their indoor program pool is heated to 32 degrees. The Manly pool is a popular little pool and has a 25m outdoor heated pool. Call me a wimp if you like, but if I am going to go swimming in winter, I much prefer to go to an indoor pool. It certainly makes getting out of the water more comfortable. Brisbane unfortunately only has a few decent sized indoor heated pools. Despite this 50m heated pool right in the heart of the city being open to the public, few people even know that it is there. This is the perfect place to exercise in winter. If you don't work or live in the city, then maybe QUT's 25m indoor pool at Kelvin Grove will be better for you. Another indoor heated 50m pool at people don't know about. During summer people go to Redcliffe to swim at the Settlement Cove Lagoon or even brave the jelly fish at the beach. But there is also a great indoor pool on the peninsula as well for people who want to keep swimming all year round. 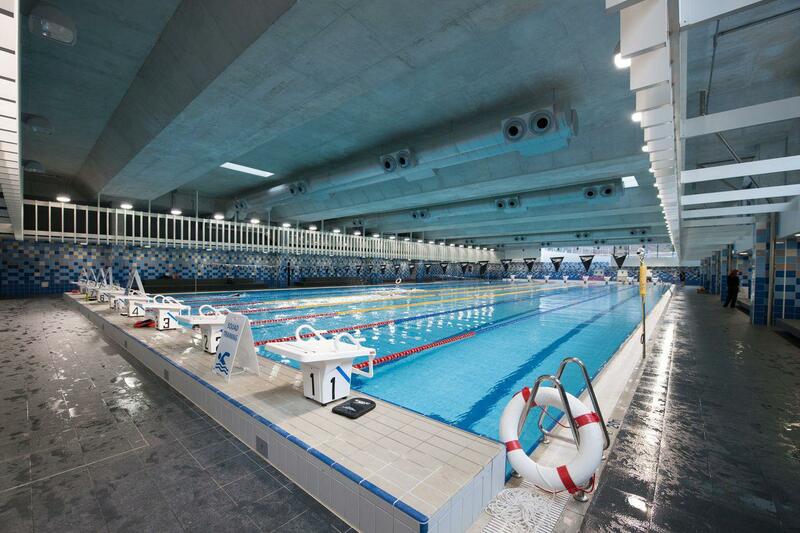 A number of aquatic centres have a small separate indoor pool that is suitable for program events such as learn to swim classes and aqua aerobics. Some of these might be available for laps at limited times. There may be others, but the Fitness First in Lutwyche is one of the few gyms in Brisbane that includes a pool. Used mostly for aquatic fitness classes, I do believe it is also available for laps when not in other use. The Colmslie Aquatic Centre small indoor heated pool. 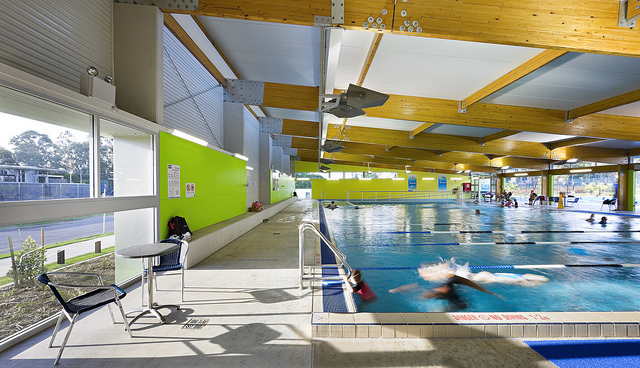 The pool at the Chermside Aquatic Centre stays open all year round, even though it is not heated. Perfect if you are a polar bear. However the small indoor pool is heated to 32 degrees and is used for a range of programs and activities. The most popular pool in Brisbane is the Yeronga pool! How can this not be mentioned in any of your articles! Fantastic place with 3 heated pools and lots of activities all year round!